It's great. I like simple wallpaper like this. wao awesum scan <333333333 i love this wallie too! It is a simple wallpaper. wow omg ! its so freaking awesome :D ., so excited that finally there is something nice on kakashi! 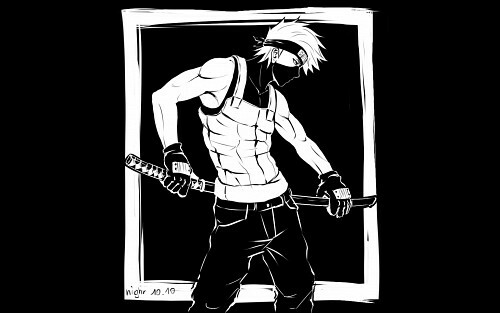 yeah, black and white wall of kakashi !